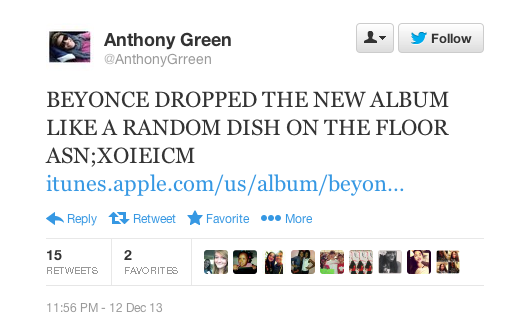 The album features collaborations with Jay-Z, Blue Ivy, Drake and Frank Ocean. According to Billboard, the press release for the album says that it is "designed to be consumed as a comprehensive audio/visual piece from top to bottom. The antithesis of making singles, the visual album is a non-linear journey through the thoughts and visions of Beyoncé." As expected, Twitter exploded with fans' reaction tweets to this momentous occasion. Caps lock was almost always involved. 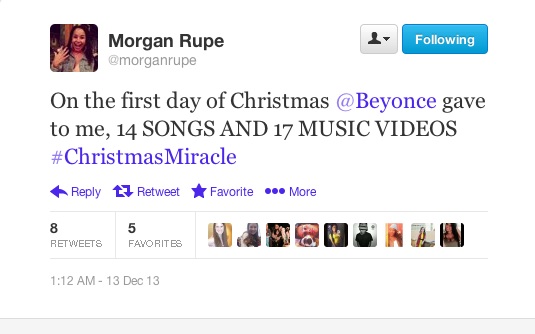 To many, the album is a Christmas miracle. The words "dying and "dead" were commonly used to describe feelings about the album. As were potentially fatal heart conditions. Most students around the country are busy studying for finals. 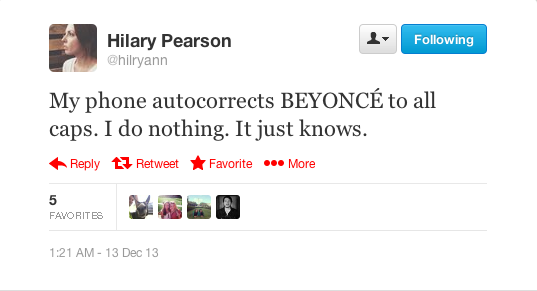 But does Beyonce care? Please. 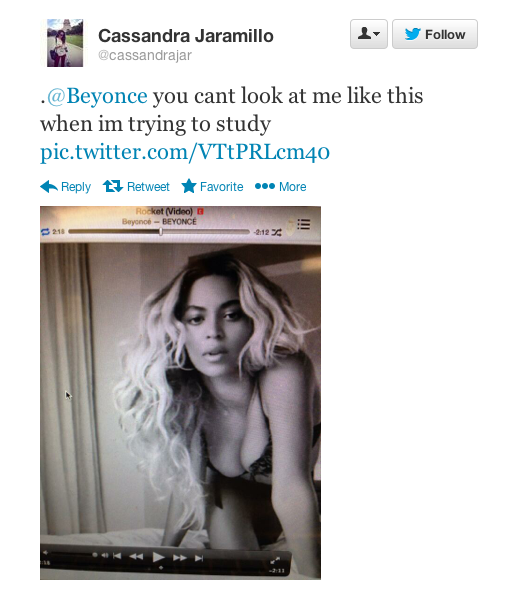 Beyonce is the best kind of distraction. Even iPhones know what's up. 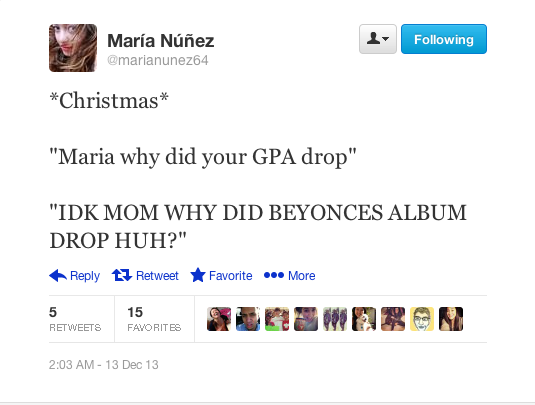 Students dropped everything they were doing to download her new album. Like anything you were doing was really that important anyway. Apparently some girl named Taylor Swift had a birthday today? IDK. The album is essentially perfect. The album is for sale on iTunes and individual tracks will be available on Dec. 20. But let's be real, you're gonna buy the whole thing.